It’s no secret this girl loves a good opportunity to dress up. A grand occasion or not I often find myself being overdressed. Until recently. I have worked in the corporate world all of my adult life, and while San Francisco is a very casual city (too casual in my opinion) there is still a ‘dress code’ for those of us who have a certain type of a 9 to 5. I have often lamented the fact that I can’t wear jeans to work. Sure, there are days I’m thankful that I have the type of job (Champagne sales) that allows me to get out of leggings and a hoody, but as with most things I guess the sweet spot lies somewhere in the middle. Well, it sounds like I’m not the only one who has been feeling that way because in the past year I have noticed a shift in corporate workwear. And I have to say, I think the trending of The Power Blazer has had something to do with this. I myself have always been a HUGE fan of blazers. I can show you pics of my closet from 2008 with over half of it bursting with color coordinated Zara blazers, like I was one of the characters on “Scandal”, but I don’t think the rest of America was quite as much on the same page. Until about two years ago, when I started seeing the blazer wave taking major shape. Designers like Veronica Beard showcasing beyond gorgeous perfectly tailored pieces that while pricey were not completely out of reach. Fast fashion then swooping in and turning the wave into a trend tsunami. Cut to today, and the “Power Blazer” is all you need to elevate your work look. Elevate it so much in fact, that if you are pairing it with some denim and a simple white tee, you still somehow look like the major boss lady that you are. I have made this blazer my work uniform and not looked back. 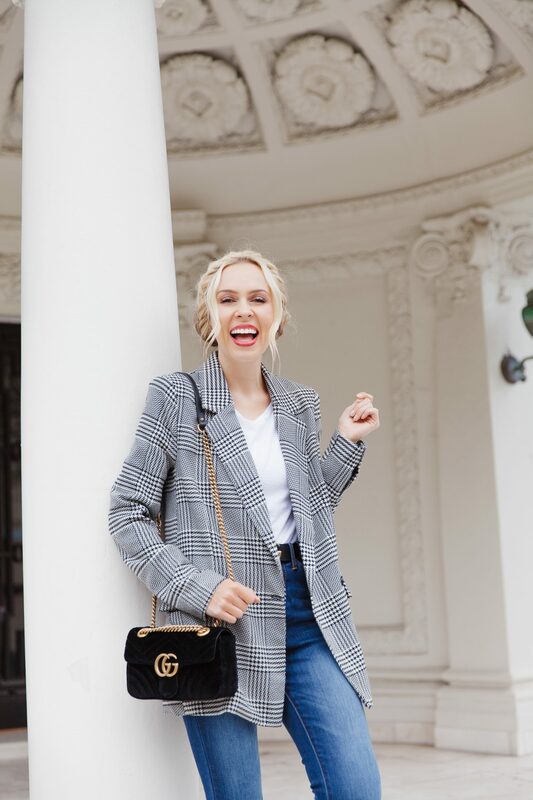 My favorite recent power blazer find has been from Vici and it’s been on such heavy repeat I have had to remind myself ‘girl, you just wore this plaid blazer the day before yesterday!’. 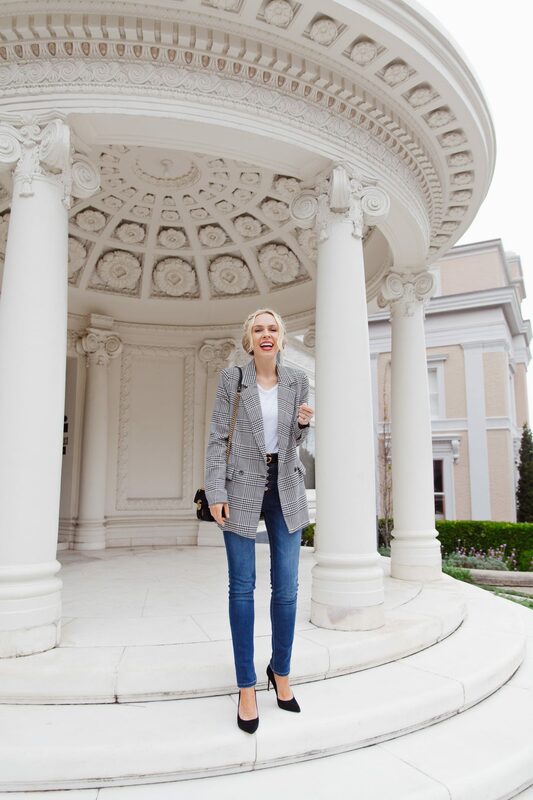 I’ve gathered more great Vici blazer options for you, and bonus – they add new items daily so there are literally countless options. Aside from being the perfect workwear staple, the power blazer is such an ‘it’ item for me because it has endless styling possibilities. I have worn this plaid blazer with these faux leather leggings, this dress and countless other pieces in my closet. So, whatever your style or career, investing in the power blazer is a smart cookie style move.